During this year’s World Health Day the World Health Organization made a call for universal health coverage. Unfortunately, Uganda is far from achieving universal health care. While the conversation generally focuses on the link between money and access, even those who have money sometimes cannot access doctors or medicines. For those who have neither money or access are left with no one to fend for them. Despite these challenges, one young gentleman decided to study medicine and push forward to create an innovation to help mothers. 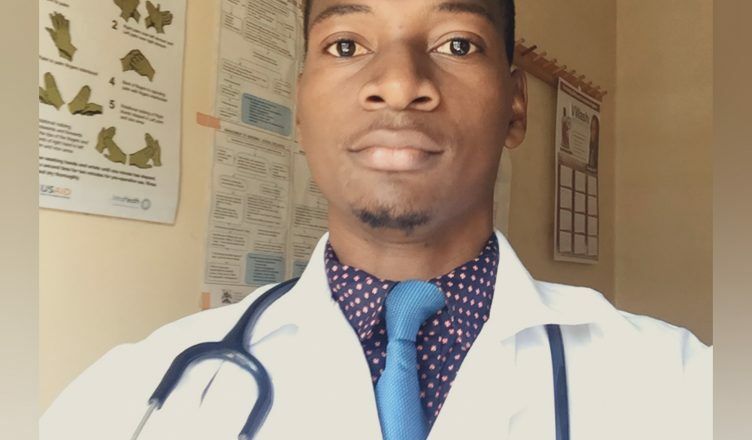 Prosper Ahimbisibwe is a doctor and also the co-founder of mSCAN (Mobile Scan) Uganda operating out of an Innovation hub in the center of Kampala called Outbox. I caught up with him and asked him a few questions. What is the name of the innovation that you created? We developed a low-cost portable ultrasound probe and software that detects risk factors of maternal mortality among pregnant mothers in resource limited areas. mSCAN is able to work with your laptop, tablet or even your phone to enable early diagnosis. Why is it (innovation) important in Uganda at this stage? Uganda loses about 16 mothers daily due to risk factors of maternal mortality. More than a half can be detected by ultrasound earlier on during antenatal in pregnancy. The World Health Organisation recommends a minimum of four scans during pregnancy and most of women go to their fourth pregnancy without having ever had any. The challenge lies in the traditional huge ultrasound machines that are power intensive and expensive to reach to mothers in rural areas. Early diagnosis may be the difference between a life and death for a mother in Africa. Through the power of mSCAN, we are extending life saving ultrasound leveraging, by our portability and affordability, to reach to pregnant mothers in the most remote areas of Uganda. We have scanned 310 mothers and referred 30 mothers in time for the required either surgical or medical intervention. Where does Uganda rank in using innovations for health care? Uganda has had a rising number of innovations in health care though scattered in scope and time. It has produced some of the leading head-turning inventions — mostly in health care. Those which can ride on existing platforms and address an existing need like Clinic Master have made traction in the private sector. Most of the novel innovations are still undergoing prototyping and feasibility studies. The application of most innovations by the government is still lacking; we can do better here. What does universal health care (UHC) mean to you as a doctor? Universal health care to me means that a person should be able to access the quality and affordable health care that they need — and when they need it — without financial impoverishment. It means equitable health care even to those who can not afford it. We should innovate ways to ensure no one is left behind. It is health care made possible for everyone — by design. It means everything to me. What is your universal health care dream for Uganda? My country is blessed with a vibrant youth population and beautiful scenery. UHC implies that every Ugandan should enjoy a healthy and highly productive life. I would love to see my country transforming from the genuine efforts of its brilliant minds. This cannot be possible without the potential and value of the young and working population. UHC will entail navigating existing and future barriers to extend proven health solutions to the masses. From innovations in health care to a highly responsive healthcare system to health financing like the actualization of the Uganda National Healthcare Insurance program, every effort should be coordinated such that everyone is served especially the ones in most of need. Propser is passionate about Africa and about the potential that we possess as a continent. More than ever, he is willing to contribute to the healthier Africa that we want, guided by the Continent’s Agenda 2063 and the Sustainable Development Goals. That gives us all more hope than ever about achieving a healthier world.